Camatkarasana is an Asana. It is translated as Wild Thing Pose from Sanskrit. The name of this pose comes from “camatkara” meaning “wonderful, spectacular, miraculous” and “asana” meaning “posture” or “seat”. This pose has many benefits: it increases spinal flexibility, opens the chest and front shoulders, strengthens arms and legs. Do not practice this pose if you are currently experiencing, shoulder, elbow or any spinal cord injuries. If you have any medical concerns, talk with your doctor before practicing yoga. 1. Start in Adho Mukha Svanasana (Downward-Facing Dog). 2. Bring your weight into your right hand and roll onto the outer edge of your right foot like Vasisthasana (Side Plank Pose). 3. On an inhalation, lift your hips with buoyancy. Stay strong in your right hand making a clawing action with the fingers. Keep the head of the right arm bone back. On an exhalations, step your left foot back and place your toes on the floor with your knee partially bent. 4. Curl back through your upper back to create a sweeping action of the shoulder blades into the back of the rib cage. 5. On an inhalation lift your hips higher until you curl more into a backbend with your right foot solid on the ground. 6. Keep breathing and curl your head back, extending your left arm from your heart and expressing your power and freedom. 7. Hold for 5-10 breaths breaths, return to Down Dog and repeat on the other side. Wild Thing is often entered from Three-Legged Downward-Facing Dog (hence calling this entry “Flip the Dog”). While this is a wonderful way to enter this pose, I always encourage my students to practice cultivating a strong and aligned Wild Thing from Side Plank before attempting to “Flip the Dog” to avoid jarring the body by dropping into a pose that can be fairly intense. In addition, entering the pose from Side Plank helps to strengthen the muscles of the core and can thus provide an added sense of stability. Feel free to experiment with different variations and expressions of the pose such as stepping the foot closer to the front of the mat for a deeper backbend, or placing the lifted hand over the heart. 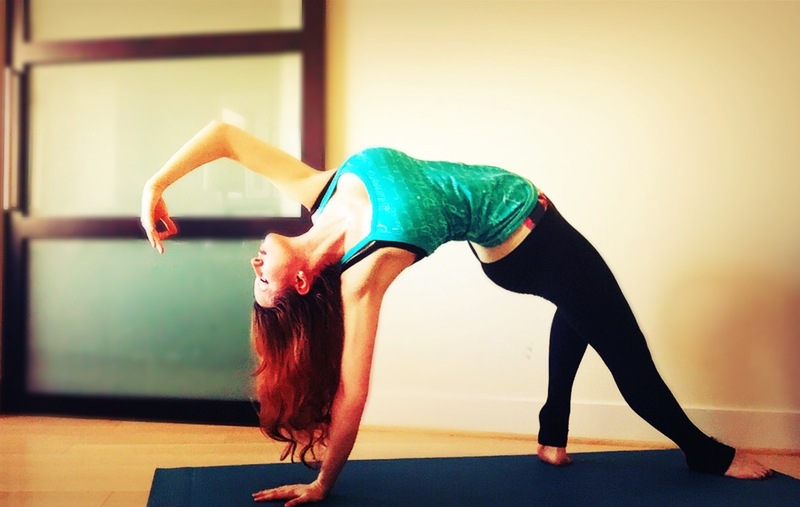 For an added challenge, try placing the lifted hand down on the ground and coming into full Wheel pose from Wild Thing. Wild Thing offers a stretch for the chest, shoulders, and throat, as well as the hip flexors and front legs. The pose also builds strength in the arms, shoulders, and upper back, and has an invigorating effect that can combat fatigue and mild depression. A combination of a backbend, a balancing pose, hip opener, and a core strengthener, Wild Thing should be approached with a sense of playfulness and lighthearted curiosity as a joyful expression of your own grace and inner strength. Here are 9 Best Raksha Bandhan Quotes and Shayari to share with Your Brother and Sister. These Best dilaogues From Movie Baadshaho will take you in the New Journey.